Thomas Davenport is the President’s Distinguished Professor of Information Technology and Management at Babson College in Massachusetts. He is an author, the co-founder of the International Institute for Analytics, a Fellow at the MIT Initiative on the Digital Economy, and Senior Advisor to Deloitte Analytics. He has spent the last 30 years focused on the Sociology of Information, studying and teaching about how people and organizations use information. He currently teaches MBAs at Babson College about Analytics, Cognitive Technologies, Big Data, and Knowledge Management. 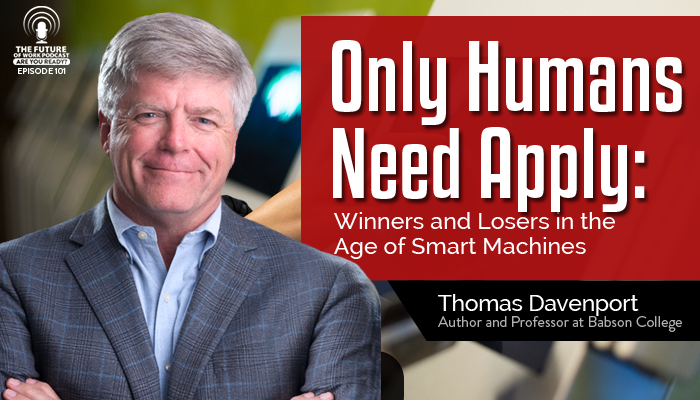 Thomas is the co-author of the new book, Only Humans Need Apply: Winners and Losers in the Age of Smart Machines. In the book Thomas and co-author Julia Kirby discuss the rise of job automation and how humans can secure their place in the workplace in the midst of this shift by using the 5 alternative strategies they lay out. The move towards automation in the workplace, while not new, is a controversial subject that is becoming a large part of our current work economy. There are two camps of people today, those who are opposed to the move towards automation and those who are embracing it. The people who are opposed are scared about the implications of automating jobs. They feel that this shift in our economy will create chaos and wipe out jobs for humans. The camp of people who are embracing it feel that automating certain jobs could be a good thing and that we will always find a way to create new jobs for humans. Thomas talks about how reality is somewhere in the middle of the two camps. While automation could cause some jobs to be at risk, it may not be as perilous as some people may think. 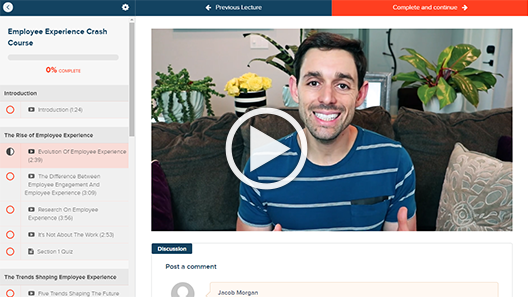 He talks about how most jobs have several tasks to them, some of them are automatable and some aren’t. In the podcast he gives an example explaining how automation could help lawyers cut down on the time they take to search through documents and contracts for items pertaining to a case. This process probably only takes up about 20% of what lawyers actually do, so as Thomas mentions, this automation wouldn’t completely replace lawyers, but perhaps in a law firm of 10 lawyers, the automation would relieve the workload to the point where they can do with 8 lawyers instead of 10. In an Oxford study done in 2013 they estimated that 47% of U.S. jobs are automatable. People such as Stephen Hawking and Elon Musk have been very vocal about their concerns with the future of human jobs and our very existence in light of this rapid shift to automation. However, when you look at jobs that have already moved towards automation, such as bank tellers, it shows that the move may not be as rapid as they think. In the 1980s there were a half a million bank tellers, and today, there are still half a million bank tellers despite the invention and implementation of ATMs. While automation may not take over human jobs at an alarmingly quick rate, it is still something we need to be aware of. Automation, bots, and software are getting to the point now where they are becoming more capable of taking over knowledge jobs, whereas before they were only taking over labor intensive jobs such as manufacturing. Because of this, Thomas and Julia felt it was important to write their book that, first of all, encourages augmenting human labor with smart machines as opposed to completely replacing humans with machines and, secondly, shows people five ways to make themselves irreplaceable in the workplace. Is automation a new thing? In the move towards automation, what does this mean for organizations? What does it mean for individuals?